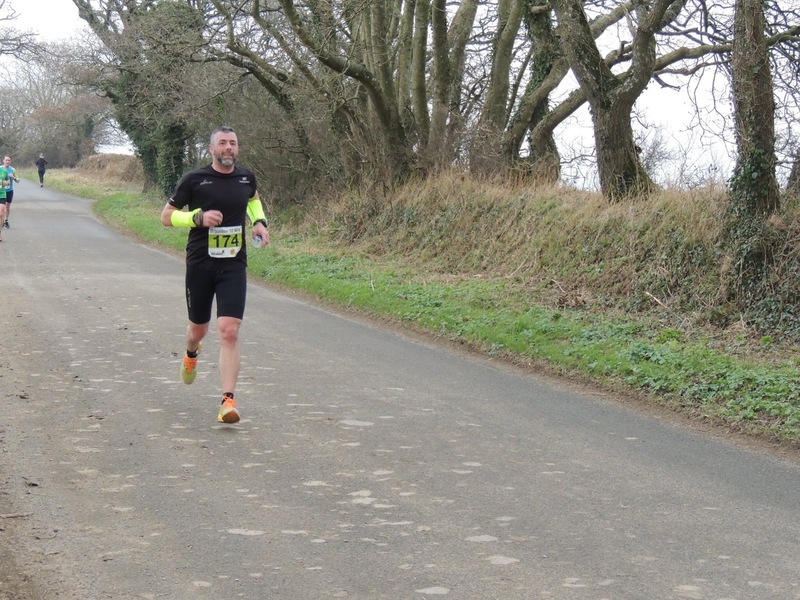 Braunton 10… post… | Contemplating my Navel! 1.15.28 (watch time)… photo below is proof that both feet can indeed leave the planet at the same time! You will notice the mobile phone in my hand. This pic is after a call from my good lady asking me if I was on my way home?!?! Apparently friendfinder showed me ‘near home’. 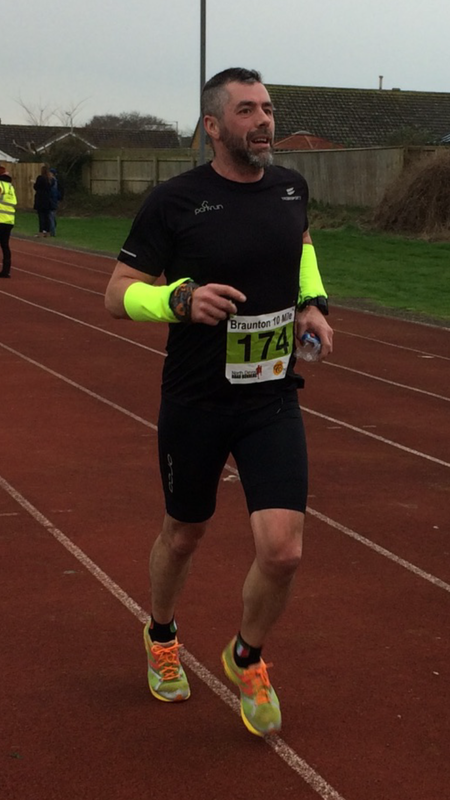 The runners around were amused for a few seconds as I explained how it was a 10 mile run and no I wasn’t finished! Anyway… I think this is a PB! And with a sneezy cold! The lap times… Not too obvious where the hills are eh! LOL…I’m quite pleased with my run strategy. 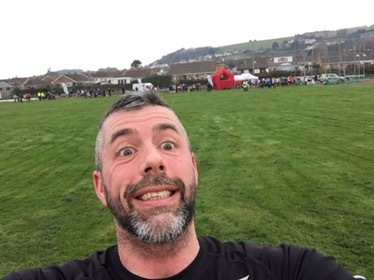 Easy at the start and then ‘manage the hills’ then push the last 5k PARKRUN! Think – adding time and then guessing isn’t my strong point but that would have got me in just about under 21 mins (at Parkrun). So, happy chappy! The finish was so intense (you can tell by the strained look on my face!?!?!) I missed the fact that my wife and children had arrived at the finish. All that remained was the 5 mile ride home! Grabbed the T and hit the road. Then went out for a walk run with Jo! Now zzzzzz!